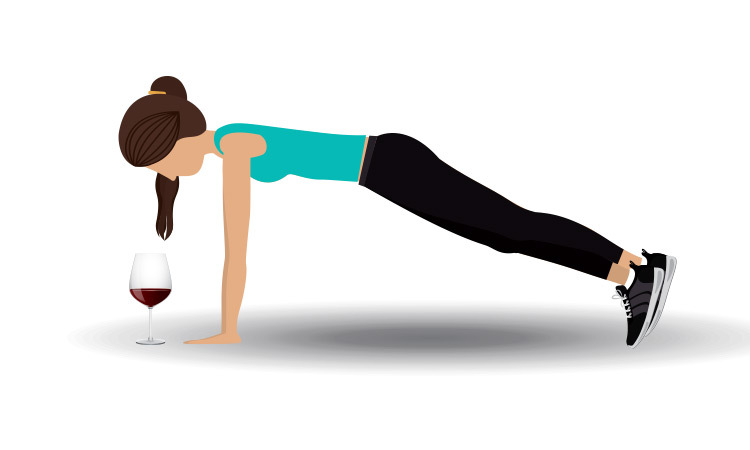 “A glass of red wine is the equivalent to an hour in the gym.” That cannot be real—can it? A D2D reader brought this headline to our attention and we had to investigate. And while the two definitely are not equal, red wine does have health benefits. 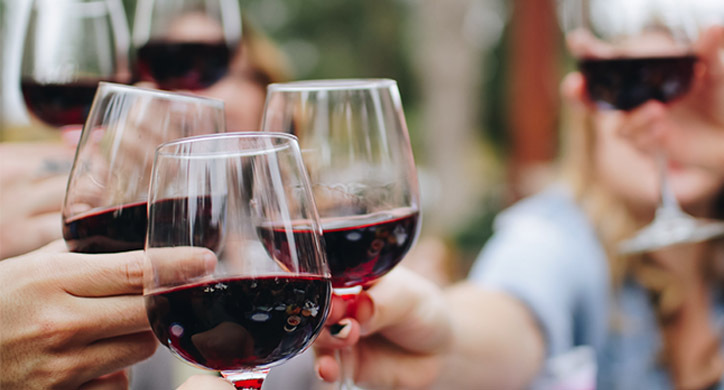 Some of our D2D readers were toasting each other with glasses of red wine over the weekend cheering, “healthier than going to the gym!” Publications like Shape, Bustle, and Elite Daily, are writing about the positive health effects of red wine, telling readers that it is equivalent to an hour of cardio. How? Resveratrol is of the “polyphenols” family and “polyphenol” is essentially all plant-based micro-nutrients. You may have first come across the benefits of polyphenol in wine in the book, The Red Wine Diet, published in September 2007. Author Dr. Roger Corder examined the role of “procyanidins”, another nutrient of the polyphenol family that is found in red wine. This book asserts that procyanidin, a micronutrient with strong anti-oxidant properties, is a “key health component” for humans. According to Dr. Corder, procyanidins may keep your blood vessels healthy and “healthy blood vessels are the key to keeping your heart, brain, and every other organ in good shape. Healthy blood vessel function may also help prevent cancer.” (Corder, 2007) For these reasons, Dr. Corder believes one glass of red wine a day is a good way to live a longer, healthier life. However, some researchers believe that many of these effects can now be attributed to the alcohol content of the wine. In fact, it is the fermentation process that extracts procyanidin from the seeds and skin of the grapes used to make wine. While procyanidins are believed to protect against free radicals, it is almost impossible to say with certainty that these nutrients help you to live a longer life without conducting human trials. According to the study, Resveratrol has been shown to increase the mitochondrial energy in cells; break down fatty acids into energy, and improve oxygen delivery to the big muscles attached to the bones. However, the giant leap from “resveratrol is an exercise enhancer” to “drinking red wine as equivalent to a trip to the gym” is entirely inaccurate. Resveratrol enhances exercise performance, it does not replace it. We spoke to lead researcher, Dr. Jason Dyck. He clarified that many of the stories that are being published citing this research are not correct. Nowhere does this study advocate avoiding exercise. Not to mention, the amount of red wine you would need to drink in order to get a high dosage of resveratrol is anywhere from 100 to 1,000 bottles per day! Clearly, a resveratrol supplement is in order here. Resveratrol is believed to decrease the risk of heart disease and cancer. However, the research conducted by the University of Alberta focused on the unique relationship between resveratrol and exercise. This fueled the increasingly popular (and inaccurate) headline that drinking red wine = a workout. Their study used male Wistar rats, separated into 4 groups over a period of 12 weeks and focused on their exercise program. The individual groups were fed either a standard diet or a diet that included resveratrol. By controlling the rat’s exercise regimen and their dietary requirements, the scientists successfully tested the effectiveness of resveratrol. The study concluded that resveratrol increased the endurance capacity of their Wistar rats. 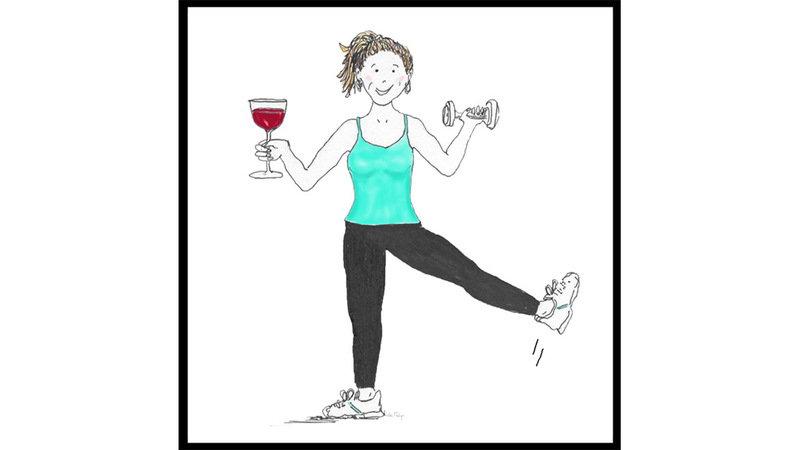 While it is very catchy to say a glass of wine is equivalent to an hour in the gym – that is not the case. Yes, both resveratrol and an hour in the gym can benefit your overall health, but they are not mutually exclusive. The incorporation of resveratrol into your diet supports the effectiveness of your time in the gym. Do not believe everything you read. A glass of wine does NOT equal a trip to the gym. Nothing replaces a good muscle and cardio workout. The study concluded that resveratrol is an exercise enhancer in rats. However, the health benefits have not yet been proven in humans.